The IAM has turned the tables on the latest contract flip at Toronto’s Pearson International Airport by securing voluntary certification, a new collective agreement, and new members. Contract flipping is common practice at Pearson allowed by the Greater Toronto Airport Authority (GTAA) which normally means job loss for some of the affected workers, reduced wages and benefits for others. This contract flip involved Smarte Carte, the firm responsible for passenger baggage carts at the airport, who lost in a contract flip to Clarrion. 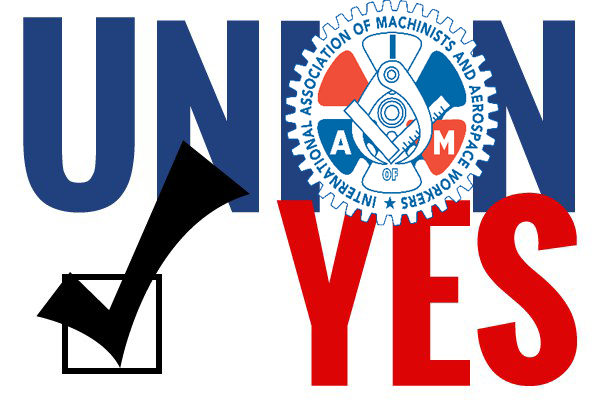 However, instead of possibly losing their jobs or having reduced wages and benefits with the new employer, the Smarte Carte workers, members of the IAM, not only retained their jobs but their wages, benefits, seniority as well as their union, thanks to the IAM. The new three-year collective agreement provides wage increases of 3 percent in each year, this is in addition to the wages they had with Smarte Carte. All seniority and benefits remain unchanged. In addition they will receive an annual boot allowance of $120 and the employer has agreed to pay for 24 hours a month for union activists to attend monthly membership meetings.